February tends to be a slow month on the farm, but it is always a busy one for us here in Annapolis. Over the past several weeks, I have been meeting one-on-one with legislators and briefing different committees and delegations on the state of Maryland agriculture. While this has been helpful, I cannot stress how important it is for our lawmakers to here directly from our farmers. If there is a bill that could affect your farm or your community, I urge you to come testify and make sure that your voices are being heard. With that said, I’d like to give a quick update on our department’s legislative priorities. HB 50 – Maryland Produce Safety Program: This legislation would establish the Maryland Produce Safety Program in the Department of Agriculture and give the Secretary of Agriculture the authority to conduct inspection, compliance and enforcement activities for the Produce Safety Rule instead of FDA. As MDA is familiar with Maryland farmers, agricultural practices, agricultural water sources, nutrient management and other relevant state regulations, we are better equipped to assist farmers with compliance while taking into account other state regulations. The legislation does not contain any provisions that would place an additional burden on Maryland farmers. SB 25 – Conservation Easements, Covenants, Restrictions and Conditions – Recording Notice: This would allow Maryland Agricultural Land Preservation Foundation (MALPF) and other state agencies to periodically update land records to evidence the state’s interest in properties encumbered by the state with a conservation or preservation easement. Public notices of older easements are sometimes not included in title searches. This bill would give MALPF and similar programs the ability to maintain those records, ensuring that prospective purchasers are able to make an informed decision. SB 56 – Regulation of Poultry to Protect Animal Health and Control Avian Influenza: In an effort to maximize our efforts against avian influenza, this bill would give our department the authority to regulate new and emerging poultry markets. This includes swap meets, flea markets and internet sales. This is a necessary step in making sure that we continue to safeguard our poultry industry from infectious disease. SB 57 – County Agricultural Land Preservation Programs: This is essentially a clean-up bill that will make changes to the current MALPF statute to be consistent with the provisions of HB 620, which passed into law in the 2018 session. SB 58 – Maryland Agricultural Land Preservation Foundation – Elimination of District Agreements: Another clean-up bill that will delete obsolete references to “agricultural districts” associated with an agricultural land preservation process that was phased out in 2007. The department has also offered support to House Bill 808 – Weed Control – Noxious Weeds. This bill would amend the current law to give MDA authority to determine which weeds should be included on the noxious weed list. This is a result of the department’s 2018 Palmer Amaranth Summer Study. Within the last decade, palmer amaranth has become a prolific weed pest that has proven difficult to control. This bill would give MDA more flexibility to address this and other invasive weeds in the future. As we celebrate Thanksgiving and move into the holiday season, I want to take a brief moment to say thank you to all of the Maryland farmers who continue to support the Hogan-Rutherford administration. Our governor has done a great job getting our state back on the right track, and we are all very excited that the people of Maryland have elected to give us four more years to continue changing Maryland for the better. Rural Marylanders were among the first to embrace Governor Hogan as a candidate in 2014, and I can assure that we will always remember that. Personally, it has been an honor to serve my fellow Maryland farmers as Secretary of Agriculture, and I look forward to continuing in that role for another term. I know it has been a tough year for a lot of us with erratic weather, but I want you to know that our staff at the Maryland Department of Agriculture is here to help in any way we can, and we are all grateful for the hard work you do each and every day to provide food and fiber for us all. In addition to its effect on crop yields, I know that wet weather has made it difficult for many farmers to get cover crops planted by the program’s planting deadline. In response to that challenge, the department has launched a Healthy Soil Biomass pilot program for farmers who were approved to participate in the 2018-2019 winter cover crop program, but were unable to plant all of their acreage. The pilot program will pay these farmers a flat rate of $45/acre to plant qualifying small grains in leftover, unplanted fields to create a healthy soil biomass and protect water quality in nearby streams, rivers and the Chesapeake Bay. The pilot program works in a similar way to the department’s traditional cover crop program, but it is a separate and distinct program with its own set of rules and requirements. Only farmers who were previously approved to plant cover crops this fall are eligible to participate. These farmers may plant up to 500 acres of qualifying small grains on “leftover fields” that they did not plant in traditional cover crops. Farmers have a choice of planting methods, but only wheat, rye or triticale may be used as the seed source. The planting deadline for the pilot program is December 1. Farmers interested in participating are encouraged to contact their local soil conservation district office. Our department has partnered with the Maryland Department of the Environment and University of Maryland’s Harry R. Hughes Center for Agro-Ecology to host a series of workshops aimed at helping local communities address the third phase of Maryland’s Watershed Implementation Plan (WIP) to clean up the Chesapeake Bay. The series of six workshops began on November 16 and will run through December 6. Each workshop will focus on local goals, opportunities for collaboration, and how to proceed to reach targets in 2025 and beyond. Each workshop will begin with state and region-specific overviews from the Maryland Department of the Environment and the Maryland Department of Agriculture before a set of breakout sessions organized by counties. Participants will then reconvene after lunch for a discussion on next steps. All workshops are free to attend and sponsored by the Harry R. Hughes Center for Agro-Ecology and funded by the Town Creek Foundation. When Governor Larry Hogan took office in 2015, he promised Maryland’s agricultural community a seat at the table – and as Secretary of the Maryland Department of Agriculture and a lifelong farmer, I am happy to say he has kept that promise. The governor has been a steadfast ally of our rural communities, and we are seeing a renewed sense of optimism among our farmers for the first time in years. Nearly four years in, I want to take a moment to reflect on a few of the ways the administration is making sure that rural Maryland stays open for business. In this year’s budget, Governor Hogan has provided historic support for a number of agriculture-related initiatives. For the first time since 2007, the Maryland Agricultural Land Preservation Foundation (MALPF) received full funding at $45 million. This is a critical program that allows us to ensure that productive farmland stays in agriculture and out of commercial development. Since 1980, MALPF has preserved 312,666 acres on 2,301 farms in all 23 counties. By June 2018, MALPF managed a public investment of approximately $729 million in permanently preserved land. The Fiscal Year 2019 budget also includes $6 million for the Rural Maryland Prosperity Investment Fund, which funds the Rural Maryland Council. This is double the amount of last year’s funding, and makes Governor Hogan the first governor in Maryland history to fully fund the program. The Rural Maryland Council embraces holistic solutions for rural issues and strives to help communities grow by bringing together stakeholders from agriculture and natural resource-based industries, healthcare facilities, educational institutions, and government agencies. Governor Hogan’s budget also includes $8.5 million for the Maryland Agricultural Water Quality Cost-Share (MACS) program, which provides grants to farmers for installing best management practices on their farms to prevent soil erosion, manage nutrients, and safeguard water quality in streams, rivers, and the Chesapeake Bay. This an increase of $500,000 for a program that has helped our farmers stay viable while protecting our natural resources. In the past four years, we have made tremendous progress restoring the health of the Chesapeake Bay, and our farmers greatly contribute to that success. Under the Hogan administration, the state has invested a historic $4 billion in Bay restoration initiatives. The Chesapeake Bay recently received its highest recorded grade in the University of Maryland Center for Environmental Sciences annual report card, and Maryland’s coastal bays hit a historic high mark in the 2017 Coastal Bays Report Card from the Maryland Coastal Bays Program. When I travel around the country and speak with my counterparts from other states, Maryland farmers are held up as the model for sustainable agriculture practices. Our farmers have really embraced the use of best management practices which has allowed them to make significant progress in reducing nutrient runoff from agricultural production, and the governor has consistently ensured that agriculture has a seat at the table so we can be part of the solution. Here at the department, we have used our Maryland’s Best marketing program to increase demand and open new markets for Maryland products throughout the region. In addition to supporting local farmers markets and coordinating trade expos, we have made a lot of progress on an international level. Working with groups like Southern U.S. Trade Association (SUSTA) and U.S. Livestock Genetics Export (USLGE), we have hosted incoming trade missions from several countries—including Canada, China, Korea, and Sweden—that have showcased the state’s watermelon, nursery, craft beverage, and equine industries. As a public servant, I have worked with several different administrations, and I can tell you firsthand that none have matched this level of support and commitment to our farmers. I am deeply proud of the work this administration has done to protect and promote Maryland agriculture, and the Maryland Department of Agriculture welcomes the opportunity to continue our work on behalf of Maryland farmers to ensure that they continue providing locally grown, nutritious food and fiber for all Marylanders. As we move into October, farmers throughout the region are wrapping up peak growing season and preparing for harvest. As I am sure you are aware, this has not been an easy summer on the farm. Dramatic shifts from wet weather to high heats and back to wet weather have made for an exceptionally difficult growing season. This is a fact that I am well aware of as Maryland’s Secretary of Agriculture, and have experienced first-hand as a fresh market produce farmer. I think we can all agree that it will feel good to get this season behind us and look forward to more manageable conditions in the future. As we move into harvest season, our department has partnered with the State Highway Administration and Maryland Farm Bureau to educate drivers to expect farm equipment on rural routes, and to approach these vehicles with caution. This will include the use of electronic message signs positioned along roads throughout the state in addition to public outreach. Harvest season is a busy time for those of us farm community. However, I encourage you all to take a moment to reflect and celebrate all of the hard work we do each and every day to provide food, fuel and fiber for people throughout the region and beyond. One of the ways we celebrate this in Maryland is with the annual Homegrown School Lunch Week. This year, school systems across the state celebrated by featuring various locally produced ingredients in their cafeteria lunches for the week of September 24-28. I was lucky enough to visit a few of those events. On September 20, I visited Eldersburg Elementary School in Carroll County for the official Homegrown School Lunch Week kickoff event. Students led federal, state and local officials on a tour of activities that included a presentation on dairy farming; FFA high school student-run stations including making butter in a jar, and tasting apples from Baugher’s Orchards; and the Maryland Agricultural Education Foundation’s “Maryland Ag Products” mobile science lab. After the tour, we joined students in the school cafeteria to enjoy a lunch that featured local products. The menu included roasted potatoes from Wilke’s Family Farms in Hampstead; fresh melons, peppers and tomatoes from Deep Run Farms in Hampstead; apples, plums and peaches from Baugher’s Orchards in Westminster; cucumbers from Miller Farms in Clinton; and local milk from Dairy Maid Dairy in Frederick. To cap-off the weeklong celebration, Caroline County Public Schools hosted a “Maryland Farm to Tray” event at Federalsburg Elementary School on September 28. Culinary students provided Maryland vegetable crab soup with crabmeat donated by J.M. Clayton Seafood Company in Cambridge. Caroline County also became the first school system in the state to add blue catfish to its menu with the Caroline Blue Catfish Taco. This dish was created by the county’s culinary students and showcased at the 2018 Governor’s Buy Local Cookout. The event also featured an oyster shucking and spat demo by Phillips Wharf Center. In Maryland, there are more than 2 million acres in farmland and more than 12,000 farms. More than 70 million lunches and 24 million breakfasts are served in Maryland schools annually. Maryland schools spent $18 million on local food served in schools, according to a recent USDA Farm to School Census. Of those schools that purchase local foods, 96 percent purchase vegetables, 100 percent purchase Maryland fruits, 59 percent milk and 22 percent meat or poultry. Moreover, 52 percent of those schools indicated an interest in increasing local food purchases in the future. For more information about Homegrown School Lunch Week and Maryland’s Farm to School program, including educational materials, menus, places to find local products, brief video soundbook with photos and interviews, plus much more for parents, teachers, and food service staff, visit: www.marylandfarmtoschool.org. For a lot of people, the fair is all about the rides and playing games on the midway, or trying some of the delicious food throughout the fairgrounds—for farmers like you and I, this our opportunity to share our passion for agriculture with the general public. This marks my fourth State Fair as Maryland’s Secretary of Agriculture, and it is a tremendous honor for me to represent the most important industry in our state. The State Fair is a great time for all Marylanders to bring their family out for a fun, educational experience. With each new generation moving further and further away from the farm, our fairs and shows have become a critically important tool in educating our fellow citizens on the important work our farmers do each and every day to provide food and fiber while having a positive impact on our economy, environment, culture and quality of life. The Maryland Department of Agriculture will return to the Cow Palace this year to showcase the diverse range of services our department provides. This includes nutrient management, agriculture and seafood marketing, animal health, pesticide regulation, plant protection and weed management, apiary inspection, weights and measures, state chemist, mosquito control and much more. At the State Fair, we have different interactive games and displays rotating each day throughout the fair that you and your children can play together while learning about different aspects of agriculture. For instance, the kids can learn how to make slime and snow from our State Chemists, or spin the Wheel of Knowledge and win prizes for answering questions about Maryland agriculture. Another important part of our department’s presence at the State Fair is the Maryland Horse Industry Board. They will return to the fair with their Horseland exhibit near the racetrack. Stop by to admire the horses or learn all there is to know about riding, racing, breeding and more. There are a number of other ag-related attractions to visit, as well, including exhibits from Maryland Agricultural Education Foundation, University of Maryland Extension, Maryland Farm Bureau, 4-H and Future Farmers of America. Fairs and shows are particularly important to the families and young people who participate in 4-H and FFA. It takes a tremendous amount of time and resources to raise and show the chickens, sheep, pigs, and cows that we see at the fair each year. Thanks to the lessons learned from these programs, many of these young farmers will go on to be the future leaders of our industry. There is plenty of fun to be had in the Cow Palace and Farm and Garden Building at this year’s Maryland State Fair. I hope you all get a chance to check out the different attractions and learn something new. For more information, visit www.marylandstate.fair.com. It’s that time of year, again—time for all Marylanders to join us in celebrating our state’s agriculture and seafood industries! Governor Larry Hogan declared July 21-29 as “Maryland Buy Local Week,” which challenges all Marylanders to include at least one local product in each of their meals throughout the week. In a couple weeks, we will be celebrating Maryland Farmers Market Week, which encourages everyone to visit one of more than 145 farmers markets across the state. This is my fourth year as Maryland’s Secretary of Agriculture, and it never ceases to amaze me how diverse our industry is here. We have beautiful orchards and dairy farms in the west, and a variety of fresh-market produce operations and poultry farms to the east. Just last week, we joined Governor Hogan for his annual Buy Local Cookout, which featured everything from blue catfish to pork belly to good old-fashioned hamburgers—all locally grown or harvested. It is a real testament to the variety of fresh, quality products grown and produced right here in Maryland. Each year, we compile all the recipes submitted for the Governor’s cookout in our Buy Local Cookout cookbook. You can download your own copy from our website! Each recipe includes a local beer, wine, or spirit pairing recommendation from the Maryland Wineries Association, Brewers Association of Maryland, and the Maryland Distillers Guild. In its 2012 Policy Choices Survey, the University of Baltimore Schaefer Center for Public Policy found that more than 78 percent of Marylanders said they want to buy produce grown by a Maryland farmer. The Buy Local Challenge and Farmers Market Week give them an opportunity to do just that. Ask for Maryland-grown or harvested products whenever possible – while shopping for weekly groceries, eating at a Maryland restaurant, visiting children’s schools and cafeterias, even while visiting someone in the hospital. Ask where the local products are and if there aren’t any, ask them to stock some. And don’t forget, there are nine dairy farms on Maryland’s Best Ice Cream Trail. Enjoying a nice scoop of farm fresh ice cream counts as buying local as well! The Buy Local Challenge was created by the Southern Maryland Agricultural Development Commission and has since become a statewide program. The Buy Local Challenge Week is always the last full week of July. Take the Buy Local Pledge here: http://buylocalchallenge.com. As most of you are aware, we had a very wet start to our growing season—and we are in the middle of another very wet weather pattern right now. I am happy to announce that U.S. Secretary of Agriculture Sonny Perdue has granted Governor Hogan’s request for federal relief, and has provided a disaster designation to farmers in four main counties (Dorchester, Frederick, Somerset, Wicomico) and contiguous counties—which includes an additional seven counties in Maryland (Caroline, Carroll, Howard, Montgomery, Talbot, Washington, Worcester), two in Pennsylvania (Adams, Franklin), two in Virginia (Accomack, Loudon), and one in Delaware (Sussex). Farmers who have experienced crop losses are able to apply for emergency loans from USDA Farm Service Agency (FSA). Farmers in eligible counties have eight months from the date of a Secretarial disaster declaration to apply for emergency loan assistance. FSA will consider each emergency loan application on its own merits, taking into account the extent of production losses, security available, and repayment ability. I encourage any farmer affected by recent extreme weather to contact their crop insurance agents and USDA FSA as soon as possible. As I travel across the state and talk with my fellow farmers, one of the most pressing topics seems to be the stress of planning for the future of your farm operations. For most of us, our farms are our legacy. As a fifth generation farmer myself, I certainly understand how important it is to pass that legacy along to our children, grandchildren, and so on. Many of us are getting to the age where it is time to start thinking about our next steps. We all put a lot of blood, sweat and tears into our farms, and it is often hard to imagine giving up any piece of the operation. I have learned that much firsthand. My family started farming in Baltimore County in the 1840s. My great-grandfather purchased our homestead farm in White Marsh back in 1903. Through the years, development pressures led us to diversify and shift the operation to the Eastern Shore. Over the past few years, I have started the process of handing the farm operations over to my children—it has taken time, patience and, most of all, good planning. One of the first steps to planning the future of your farm should be to identify who is involved, and how that transition will take place. This is an exercise that should include the entire family, because these plans are bound to have an impact everyone. It is important to remember the many pieces involved in this transition: finances, farm operations, tax/legal expertise, etc. For that reason, it is important to consult an expert. There are many different firms and consultants that offer specialized assistance with farm transition planning. This helps navigate the many unexpected issues that can arise throughout the process. For instance, while federal tax code helps reduce farmers’ income taxes, it can create an unexpected, unpleasant spike in taxable income when a farmer decides to retire. This is where working with an expert is critical. Professional transition planners can help you identify ways to lessen that burden and keep it from hindering the future of the operation. Another important piece to consider is land preservation. In Maryland, there are multiple programs at the state level that incentivize landowners to keep their land out of development. The Department of Natural Resources has the Maryland Rural Legacy and Maryland Environmental Trust programs. At the Department of Agriculture, we have the Maryland Agricultural Land Preservation Foundation (MALPF). MALPF purchases agricultural preservation easements that forever restrict development on prime farmland and woodland, and was one of the first programs of its kind in the United States. This has allowed us to keep more than 400,000 acres of productive land in agriculture, and out of development. If your operation is in area susceptible to development, I suggest you consider one of these preservation programs as an option. Succession planning is a tough process full of potential challenges and missteps. A recent study showed that 70 percent of farming operations are not successfully passed down to the next generation. Luckily, there are many resources available to help us turn that trend around. I urge all of my fellow farmers to meet with a professional transition planner and do all you can to ensure your farm has a bright and profitable future for generations to come. As the school year draws to a close across the region, I thought it would be a good time to reflect on the state of agriculture education in Maryland. While so much of modern education tends to focus on technology, I think we are missing an opportunity to establish a link between these exciting emerging fields and how they can relate to a career in agriculture. This can include a variety of roles from precision ag engineering to resource conservation specialists. While it is easy to get discouraged by younger generations becoming further removed from the farm, a couple recent experiences have left me with a renewed optimism for future generations of Maryland farmers. In the past month, I have had the privilege to visit two very different schools in two very different parts of our state. The one thing these schools have in common is an incredible group of young people with a passion for agricultural science and conservation. Both of these schools have energized their students with a newfound interest in what is too often considered an old-school industry. Earlier this month, I joined the Maryland Agricultural Commission for a tour of Green Street Academy, a public charter school in West Baltimore. This school accepts students from across the city and provides valuable educational resources that have become far too scarce in many of the city’s public schools. We were greeted by a group of students and teachers from the school’s urban agriculture and conservation program. From the very start of our visit, it was clear that these students have a great sense of pride in what they have accomplished, and deservedly so. We saw projects that used original coding to control the climate of an indoor grow room, an aquaculture project where students raised tilapia, multiple greenhouse projects, a chicken coop where students collected and studied eggs, and a trailer full of vertical grow towers that have become a staple of urban agriculture operations. The students talked about a variety of issues affecting agriculture, including resource conservation and the importance of being good stewards of the environment. One student linked his passion for agriculture to growing up in a food desert, and wanting to find new ways to provide fresh, nutritious foods to underserved communities. West Baltimore may not seem like a hotbed for agriculture education, but as I learned from the students at Green Street Academy—and through past interactions with other schools in the area—that perception has a lot more to do with a lack of opportunity than a lack of interest from the students. Last month, I was invited to Washington County to visit with students at Hancock High School. When I arrived, I was impressed to learn that more than half of the student body participates in the school’s agriculture program. Much like the students I met in Baltimore, these young people spoke with a genuine passion and curiosity for agriculture that felt contagious. A lot of that can be credited to their teacher, Tom Mazzone. In just four years, Mr. Mazzone has essentially built the school’s robust agriculture program from scratch. He has tapped a number of resources and obtained grants to create a curriculum that mixes academic study with invaluable hands-on experience. I was treated to a presentation that showed students making apple cider, raising chickens, and building chicken coops and handicap-accessible planters. Any money made from the school’s projects goes right back into the program. For the latter half of the visit, I helped Mr. Mazzone present 4-H awards and recognition to several students in his class. I also had a chance to speak with the class about what they have learned from the program and their plans for the future. Not all of them plan to pursue a career in agriculture, but each one expressed how much they value the ag program and plan to apply the knowledge they have gained in the future. Despite the drastically different circumstances, these two schools are great examples of what happens when we give students the tools to learn more about our industry. I am grateful to organizations like the Maryland Agricultural Education Foundation and many others who are working to bring more of these opportunities to schools across the state. If the students and teachers of Green Street Academy and Hancock High School are any indication, the future is bright for Maryland agriculture. In my role as Maryland’s Secretary of Agriculture, I have made it a priority to collaborate with my counterparts in the Chesapeake Bay watershed to address issues that affect farmers throughout the region. One of the ways I have done that is by hosting the annual Mid-Atlantic State Agriculture Secretaries and Commissioners meeting, which has coincided with our celebration of Earth Day the past four years. This year’s meeting included leadership from Maryland, Delaware, Virginia and Pennsylvania departments of agriculture, as well as EPA Region 3 and NASDA. We also had the distinct privilege of welcoming U.S. Secretary of Agriculture Sonny Perdue for the afternoon portion of the meeting. It was a very productive day with discussions on everything from labor issues to soil health. Of course, the overall theme of this meeting has historically been about protecting the Chesapeake Bay from nutrient pollution. It was great to have EPA Region 3 administrator Cosmo Servidio with us to discuss our progress toward reducing agriculture’s impact on nitrous and phosphorus loads in the watershed. We also touched on a variety of related topics including Maryland’s push for healthy soils and our manure transport program. One major focus of the meeting was the hardships facing our dairy farmers. It is no secret that the dairy industry in our region has been struggling with historically low prices since 2014. Without much relief in sight, my counterparts and I presented Secretary Perdue with a letter requesting that he use his secretarial authority under Section 32 of the Agricultural Adjustment Act of 1935 (7 U.S.C. 612c) to provide some much-needed support for an industry that once thrived in this part of the country. We believe it is important to use every available federal resource to help our dairy farmers and the rural communities that depend on a healthy dairy industry. One of the ideas we proposed was offering financial assistance through the Commodity Credit Corporation Charter Act. This could help ensure that farmers throughout the region are able to bridge the gap until other policy and/or market factors stabilize. I am confident that Secretary Perdue understands just how much this would mean to our farmers, and I look forward to working with him on this important issue. Another area of concern was the emergence of the Spotted Lanternfly. Though we have not yet discovered this destructive insect in Maryland, it has spread widely throughout Pennsylvania, with sightings reported in Delaware and Virginia, as well. As our neighbors to the north have learned, this non-native invasive pest poses a major threat to our industry, especially grape growers and orchards. USDA has provided $17.5 million of emergency funding for the region to use for eradication, outreach, and monitoring. Here at MDA, we have created a website dedicated to the issue: mda.maryland.gov/spottedlanternfly. Marylanders are encouraged to submit a photo of a possible sighting to DontBug.MD@maryland.gov. Our visit with Secretary Perdue also provided a great opportunity to discuss the upcoming Farm Bill and priorities for the region and our individual states. There is sense of optimism that the bill will pass Congress and be submitted to the President before the October 1 deadline. I would like to thank my colleagues, Secretary Michael Scuse of Delaware, Acting Commissioner Charles Green of Virginia, and Deputy Secretary Greg Hostetter of Pennsylvania for making the trip to Annapolis. This meeting has been a great way for us to collaborate and share lessons learned throughout the years. I look forward to more of these meetings in the coming years. 2018 is turning out to be the year for Agricultural Land Preservation in Maryland! Only a few weeks remain in this year’s legislative session and it is turning out to be a good year for our agriculture community. The Maryland Agricultural Land Preservation Foundation (MALPF) program is undergoing substantial changes with a focus on keeping working farms in production while accommodating for changes in the industry and the increased need for diversification. The Foundation has easements on more than 2,200 properties, covering over 304,000 acres statewide at a public investment of nearly $700 million. Let’s start with the really good news for MALPF this session: For the first time since 2007, Governor Larry Hogan has included full funding for MALPF ($45 million) in this year’s state budget. The budget also includes historic funding for the department’s cost-share program, which is critically important to our progress in protecting the Chesapeake Bay. This year’s budget is just another example of the governor’s ongoing support for our agricultural and rural communities. The MALPF program will also be eligible to apply for federal matching funds with the passage of Senate Bill 885- Condemnation of Land Under Easement. This bill will bring MALPF in line with the industry standard of compensation for condemned properties, and expands the potential to receive additional funding for preservation easement acquisitions. SB 571/HB 1229 –Use of Land – Signs and Outdoor Advertising Displays– Would allow easement holders to place certain signs on their property, including no trespassing signs. SB 1140-Maryland Agricultural Land Preservation- Lot Release– Would allow MALPF to include stepchildren as eligible recipients of child lots. This is a sensible update to the program which would view stepchildren as children of the landowner who originally sold the easement. · HB 1351- Agriculture – Easements – Special Occasion Events- Would allow landowners to use up to two acres of land on their property for special occasion events for commercial purposes. The MALPF board of directors must approve the event and the easement has to be enrolled in the MALPF program for more than 10 years. The Maryland Department of Agriculture worked closely on all of these bills with a number of agricultural stakeholders and elected officials. It is important we continue to push for agricultural land preservation and state cost-share programs that provide our farmers with the resources they need to maintain viable farm operations. As we wrap up Maryland Agriculture Week (March 18-24), I wanted to take a moment to thank all of our farm families for their continued commitment to our industry and our rural communities. As generations of Marylanders become further removed from the farm, it is critical for all of us to spread the word about the great things our Maryland farmers are doing to provide food and fiber while helping protect our natural resources. When I travel across the country and meet folks from other states, I have found that Maryland is often looked to as a blueprint for sustainable farming practices. Our state has led the way in on-farm conservation efforts and it is starting to pay off. Bay health is steadily improving, and that is due in part to the efforts of our farmers who plant cover crops during the winter and employ a variety of best management practices on their farms year-round. Agriculture is a huge part of our everyday lives that is sometimes taken for granted. I want you to know, on behalf of the Hogan-Rutherford administration, we appreciate all that you do to provide fresh, safe and affordable food to people throughout the Mid-Atlantic region and beyond! When Governor Hogan took office in 2015, he promised Maryland’s agricultural community a seat at the table – and he has kept that promise. The governor has been a steadfast ally of our rural communities, and we are seeing a renewed sense of optimism amongst our farmers for the first time in years. 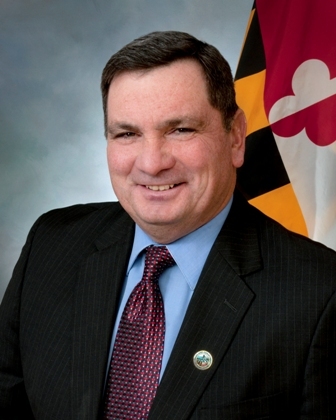 Recently, there has been some unfortunate misinformation spread about the Maryland Farms and Families Act that has sought to call into question the Hogan’s administration commitment to Maryland’s farming community. As secretary of the Maryland Department of Agriculture and a lifelong farmer, I can affirm that our administration is 100 percent committed to this vital community, and would like to clarify some misconceptions about this program. Feeding Maryland’s hungry and supporting our farmers are certainly two worthy causes that any Marylander would support. The Farms and Families Act was passed by the General Assembly during the 2017 legislative session, creating a program that would match every dollar of federal nutrition benefits spent at farmers markets. While this is an innovative concept on its face, there are a number of factors that must be considered before state funding is allocated to the program. Currently, the Maryland Department of Agriculture already has federal funding and resources dedicated to programs that help low-income families buy fresh food at farmers markets, including the Women, Infants and Children (WIC) program. Last year, WIC recipients used just 43 percent of the 130,000 checks issued by the program. It is our responsibility to make sure we are using all available funds before we dedicate additional funds to a supplemental, and potentially duplicative, program. Additionally, we must ensure that taxpayer dollars are spent efficiently and in a manner that will do the most good for the greatest number of Marylanders. The Maryland Farmers Market Association has asked for $500,000 to fund the Farms and Families Act – 30 percent of which would go to salaries and administrative overhead. This is a significant amount of taxpayer money that would not go directly to farmers or needy citizens, particularly given this program duplicates existing programs and that the funds available through these programs are not being fully utilized. Another mischaracterization is that the decision not to fund this program harms Maryland farmers. This again fails to acknowledge existing, duplicative programs. Last year, the Farmers Market Nutrition Program paid nearly half a million dollars to farmers who provided food to low-income families. Governor Hogan has provided historic support for our farm families in his current budget proposal. The governor’s proposed Fiscal Year 2019 budget includes $6 million for the Rural Maryland Prosperity Investment Fund, which funds the Rural Maryland Council. This year’s funding is double the amount of last year, and would make Governor Hogan the first governor in Maryland history to fully fund this critical program. The Rural Maryland Council embraces holistic solutions for rural issues and strives to help communities grow by bringing together stakeholders from agriculture and natural resource-based industries, healthcare facilities, educational institutions, and government agencies. This includes numerous initiatives that help farmers and low-income families. Governor Hogan has also included $8.5 million in his budget proposal for the Maryland Agricultural Water Quality Cost-Share (MACS) program, which provides grants to farmers for installing best management practices on their farms to prevent soil erosion, manage nutrients and safeguard water quality in streams, rivers and the Chesapeake Bay. This an increase of $500,000 for a program that has helped our farmers stay viable while protecting our natural resources. While the Maryland Farms and Families Act was passed with good intentions, we need to find a better way to fully utilize funding that already exists for programs that accomplish the same goal. Maximizing available resources is ultimately in the best interest of our farmers, our needy families, and our taxpayers. I am very proud of the work this administration has done to protect and promote Maryland agriculture, and the Maryland Department of Agriculture welcomes the opportunity to work together with all stakeholders to achieve our shared goal of providing locally grown, nutritious food for all Marylanders. Last week, I was honored to join Governor Larry Hogan at the State House as we inducted nine families into the Century Farm Program. This program recognizes families who have owned and farmed their land for more than 100 years. These families are great examples of the kind of dedication and hard-work that makes agriculture the state’s most important industry. Since the program started back in 1994, we have recognized 182 farms. That represents about one percent of Maryland’s 12,200 farms. The best agricultural preservation program is an economically healthy agriculture industry. Farming has formed the foundation of our nation’s economy for hundreds of years. Our Century Farm families are stewards of the land who have maintained family traditions and a continuity of agriculture important to our communities and our economy. On behalf of the Hogan-Rutherford administration, I want to reiterate how much we appreciate these families and their commitment to our state’s rural heritage. During the Legislative Session, the Maryland Department of Agriculture follows many bills that may impact the agency and the constituents we serve. We will regularly post a synopsis of the bills the department is tracking and a hearing schedule that is updated from the Department of Legislative Service​​s website. If we provide a PowerPoint presentation or written testimony for any bill, it will be posted on our website after the hearing, if not sooner. Earlier this week, my team and I briefed the Maryland Senate Education, Health & Environmental Affairs and House Environment & Transportation committees on a number of issues and provided status updates on several key initiatives here at the Maryland Department of Agriculture. As far as the department’s legislative priorities, we have submitted a departmental bill to establish a statewide definition of agritourism (House Bill 252). The bill also includes a list of activities to be included in this definition. For more information, visit the Maryland General Assembly’s website. To view presentations and all of our 2018 Legislation information, visit www.mda.maryland.gov. Published in the December 23, 2017 issue of Lancaster Farming. When I was sworn-in as Secretary of Agriculture, I laid out three main goals to continue the growth of our industry and support our rural communities: diversify and expand agricultural businesses; serve as a resource to the agricultural community; and work directly with elected officials and legislators to promote the importance of agriculture. As 2017 comes to a close, this column will focus on some of the things we are doing at the department to help achieve these goals. The main driver behind our success in this area is our Maryland’s Best marketing program. We maintain a website at MarylandsBest.net that helps connect consumers with local producers across the state. The program also buys advertising and sponsors/hosts events to raise awareness of local goods. A great example of this is the Maryland’s Best Buyer-Grower Expo – an annual event where growers and producers have the opportunity to showcase their products for buyers from grocery retailers, restaurants, schools, food distributors and other venues. In 2017, we had more than 60 farms participating with more than 300 buyers in attendance. The next expo will be held on January 24 and if you’re a grower or a buyer, we encourage you to attend. Now in its 5th year, the Maryland’s Best Ice Cream Trail has become one of our most popular promotions. The trail includes nine on-farm creameries from Washington County to Ocean City. This year, we kicked off the season with events at Rocky Point Creamery and Woodbourne Creamery. This year marked the 10th annual Governor’s Buy Local Cookout. We had 19 dishes prepared by teams of local chefs and producers, and wide range of local craft beverages. This event launches Buy Local Challenge Week, which challenges all Marylanders to include at least one local grown product in each meal. In September, I visited Crellin Elementary School in Oakland (Garrett County) to celebrate Homegrown School Lunch Week. This great program not only helps farmers open new markets, but provides our kids with fresher, more nutritious options in the cafeteria. While I was at Crellin, I toured their on-site Sunshine Farm operation. It was great to see these young kids with so much knowledge and experience, and it really reinforces the importance of ag education. When Governor Hogan took office, he declared that the war on rural Maryland was over. We have been working with farmers to make sure they know that we appreciate their hard work and dedication. For the first time since 2007, the Governor hosted a Century Farm ceremony recognizing 34 families, including one Tri-centennial and two Bicentennial farms. Governor Hogan is continuing that tradition with a ceremony to honor the newest Century Farm families in January. I also had the pleasure of joining Governor Hogan as he inducted the Millburn family of Millburn Orchards farm family as the 48th members of the Governor’s Agriculture Hall of Fame. An important part of my job as Secretary is being a resource to all farmers. I’ve learned something new about farming every day since I took this position, and the Maryland Agricultural Commission has been a big part of that. Back in the spring, we toured a variety of operation in Dorchester and Wicomico County including: J.M. Clayton Seafood Company (Cambridge), Double Trouble Farm (Rhodesdale), Marshall’s Riverbank Nurseries (Salisbury), and Wright’s Market (Mardela Springs). In the fall, we visited a handful of operations in Allegany & Garrett Counties: Working H Meats and Market (Friendsville), High Country Creamery & Market (Grantsville) and Walnut Ridge Farm (Flintstone). There’s no better way to learn about different operations than to get on out there and see them for yourself. Keeping with the theme of education, it has been a priority of mine to promote agriculture education in schools—especially in areas that are often overlooked. Last year, I visited Frederick Douglass High School in West Baltimore for a ribbon cutting ceremony for their new hoophouses. This year, we returned to the school on National Ag Day with Lt. Governor Rutherford and Mayor Pugh to help the students plant flowers so each of them could take home for Mother’s Day. To help promote MAEF’s Ag Literacy Campaign, I visited the third class at Beltsville Academy to read this year’s official book, Hatching Chicks in Room 6. There, I was joined by Director the USDA National Institute of Food and Agriculture (NIFA) Director Dr. Sonny Ramaswamy. The biggest hurdle facing us as farmers is the risk of harmful, restrictive legislation from our General Assembly. In an effort to prevent this, I have been engaging our legislators and promoting the importance of agriculture by showing them the real effects of bills that are passed in Annapolis. We continued our legislative tours this year, taking lawmakers to farm operations in Montgomery, Anne Arundel and Prince George’s counties. This is our third year doing these tours, and I’ve found that it has helped legislators gain a better grasp of the issues facing Maryland agriculture. Another thing we have found helpful is inviting legislators to visit our lab wing at the department’s headquarters. Our department regulates a variety of areas that most people may not realize – mosquito control, weights and measures, pesticide regulation, state chemist, and more. These tours help us emphasize the importance of work, especially as it relates to serving our agriculture industry. In closing, I just want to highlight at couple of big events on the horizon. You should be receiving a survey for the USDA 2017 Census of Agriculture. I cannot stress how important it is for all of us to participate in this survey—this is the most complete set of agricultural data available and is used as a baseline for decisions by lawmakers, businesses, financial institutions, etc. The other thing I want to emphasize is how important it is for all farmers to be active during the upcoming legislative session. It’s important for lawmakers to hear directly from you. It’s an honor for me to serve as Maryland’s Secretary of Agriculture. I wish you all the best this holiday season and a happy, healthy, prosperous New Year! With the recent Thanksgiving holiday, I wanted to take a moment to recognize our Maryland farmers. Not only do you work year-round to provide a safe, nutritious supply of food, but your continued commitment to protecting our waterways and the Chesapeake Bay is second to none. In FY 2017, the state exceeded its Watershed Implementation Program (WIP) assessment goals for phosphorus and sediment reduction, and continued to close the gap on our nitrogen goals. This is due in large part to our farmers’ voluntary use of Best Management Practices (BMPs), and the implementation of Phosphorus Management Tool (PMT) in 2015. As a farmer, I know firsthand that this has not always been an easy transition; but, as your Secretary of Agriculture, it gives me great pride to see Maryland’s sense of commitment and innovation held up as the blueprint for other states’ efforts in resource conservation. On behalf of the Hogan/Rutherford Administration, I can assure you that your efforts have not gone unnoticed, and we will continue to fight on your behalf here in Annapolis. In Maryland, we are fortunate to have Governor Larry Hogan who is dedicated and determined to serve agriculture and who understands that farmers were the original environmentalists and stewards of the land, and we will continue to be. Governor Hogan also recognizes that Maryland’s family farms are businesses that are a major contributor to the vitality and economy of our state. Maryland Public Television’s (MPT) popular original series Maryland Farm & Harvest, returned for its fifth season earlier this month. Each week, Maryland Farm & Harvest takes viewers on a journey across the state, telling stories about the farms, people, and technology required to sustain and grow Maryland’s number one industry: agriculture. Over the past year, MPT’s production team has filmed stories at more than four dozen farms for this season. Maryland’s rich agricultural heritage, the importance of bees, and growing crops in the face of changing weather patterns are among themes covered in depth during upcoming episodes. In just a few weeks, farmers across the country will have the opportunity to make a positive impact on their communities and industry by taking part in the 2017 Census of Agriculture. I cannot stress how important it is for all farmers to stand up and be counted. Your answers to the census have a far-reach impact on farm programs and rural services that support your community. The census is conducted every five years and compiles the most complete set of data on the agriculture industry, which is used to make decisions on policy, agribusiness and financial issues. The USDA’s National Agricultural Statistics Service will mail surveys at the end of this year. NASS has also extensively revised the online census questionnaire at www.agcounts.usda.gov to make it more convenient for producers. Farmers can either mail in their completed census form or take advantage of new time-saving features by responding online. The University of Maryland, University of Maryland Extension, and Maryland Department of Agriculture will host two Produce Safety Alliance Grower Trainings this fall. The first is scheduled for Monday, November 27 at the Cecil County Extension office in Elkton, and the second is scheduled for Thursday, November 30 at the Charles Soil Conservation District Office in Waldorf. These trainings are critically important for any operation that will be effected by the new FSMA rules going into effect. More information and registration forms are available on the department’s website. Work with elected officials, policy makers and the general public to ensure they know about the importance of Maryland agriculture to our quality of life and the overall economy. As always, we invite your feedback on how we may improve our services to you, the agriculture community. I am grateful for the hard work and dedicated efforts of our farmers who work each day to provide food and fiber for us all. I wish everyone a happy, healthy holiday season. Published in the October 28, 2017 issue of Lancaster Farming. Since being appointed by Governor Hogan as the Secretary of Agriculture, I have made it a priority to advocate and educate our policy makers about the wide range of issues our farmers encounter on their farming operations. With the 2018 General Assembly right around the corner, we held our third round of legislative farm tours before the 2,000 or more bills are introduced in Annapolis. I want to ensure that when bills affecting farmers and the agricultural sector are introduced, our lawmakers understand their impact. I want them to see firsthand the effects that current regulations are having on farming operations. This year, we partnered with Montgomery, Anne Arundel and Prince George’s county governments to highlight the diverse agriculture operations in each county and invited local and state officials to join us. The focus of the tours was on how Maryland farmers continue to place conservation practices and diversify their operations to either keep the farm in production and viable for the next generation. These farm tours offered a great opportunity for dialogue between lawmakers, regulators, farmers and advocates to discuss a number of issues and concerns and how to address problems and find possible solutions. I’m proud to say that agriculture is still the number one industry in our state. Yet, with each generation, our nation is growing further from its agricultural roots. Many people today – including our elected officials – have never been on a farm, do not know a farmer, or know where their food originates. That is why it is critical to inform our lawmakers on how potential laws or burdening regulations can harm businesses and not allow farms to be viable. Our farmers face many challenges that are out of their hands from the weather and other economic pressures; they need to have assurance that their elected officials understand their livelihood. During the tours, we visited 10 farms that offered a broad range of size, type, growing methods and means of selling their products. Showcasing the agricultural economy at a county level with a local point of view for our legislators highlights the importance of our farmers. Some key facts we shared on the tours included that 73 percent of the Prince George’s County is zoned for agriculture for a variety of rural and small urban farms. Also, agriculture contributes over $287 million to the Montgomery County economy. And with the newly-passed agritourism bill in Anne Arundel County, businesses like En-Tice-Ment Meats may now sell their products directly on their operation. The facts of our farmers doing more for their community and the environment are too countless to mention, but showcasing them is very important. I think it is fair to say that everyone who joined the tours not only enjoyed a first-hand look at Maryland farming but also learned more about the difficulties and challenges facing our farmers and the great successes farmers have every day. They understood even more the diversity, the breadth and the critical importance of the agricultural industry to our state’s overall economic health. My thanks to all the legislators and staff members, as well as local county representatives who spent their valuable time with us. I hope that more lawmakers will be able to join us next time. And, of course, my deep thanks to the farms who opened their doors to our tours and showed the group how they do business and shared their thoughts about this industry, including: Waters Orchard, Sunny Ridge Farm LLC, Waredaca Brewing and Equestrian Facility, Hopewell Farm, Greenstreet Gardens, En-Tice-Ment Meats, the Vineyards at Dodon, Edgewood Farm, Villa De Alpacas Farm and Robin Hill Farm and Vineyards. My thanks also to the Maryland Agricultural and Resource-Based Industry Development Corporation (MARBIDCO), Mid-Atlantic Farm Credit, Maryland Farm Bureau, Maryland Grain Producers, Southern Maryland Agricultural Development Commission (SMADC), University of Maryland Extension, Maryland Soil Conservation Districts, Grow and Fortify, Rural Maryland Council, Eco-City Farms, Prince George’s Food Equity Council, Anne Arundel Economic Development Corporation, Honey Harvest Farm, and Skipper’s Pier Restaurant.